Thanks for this. Very useful indeed, especially as I’m gearing up to collecting a number of small film-and-media themed armies for Tomorrow’s War. 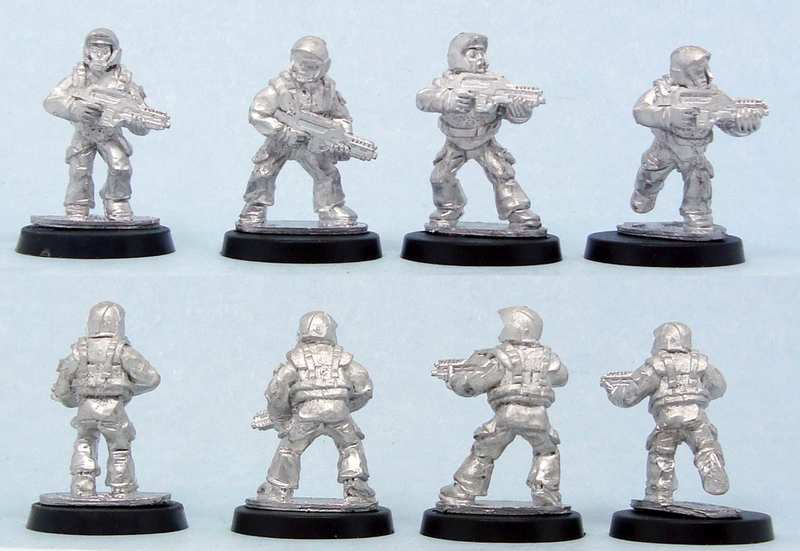 As well as Marines, Aliens and Preds I’m using Copplestone Terminators Kryomek Talons as, well, Terminators and Cylons; Foundry Street Violence (and similar ranges) for Resistance figures (for Terminator and BSG) and a few other ranges for generic mercs, Rogue Trooper GI’s and so on. So this series of articles has been really outstanding for me. Thanks for the comment, Brian! If there’s something that a blogger likes to hear, it is that an article has been of use. 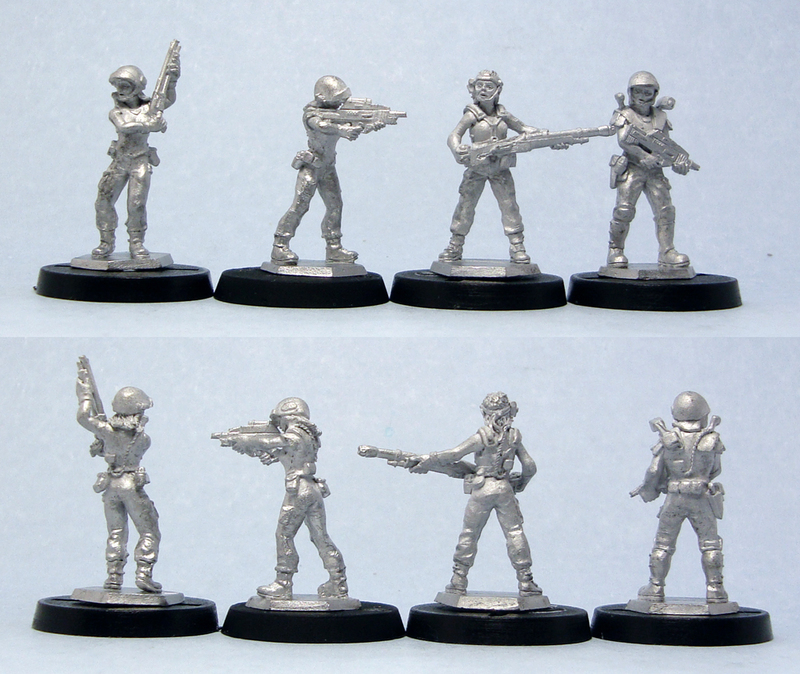 A lot of wargames enjoy similar pop culture stuff, so I guess there’s a call for posts like this. Excellent review, great site, thank you very much for this, personally I think I will use a variety of HF, EM4 and copplestone. Thanks for the kind words, Dan. I had thought to use the exact same combination as you, but when I had a chance to see these other ranges, I think I’ll pretty much use most of them. 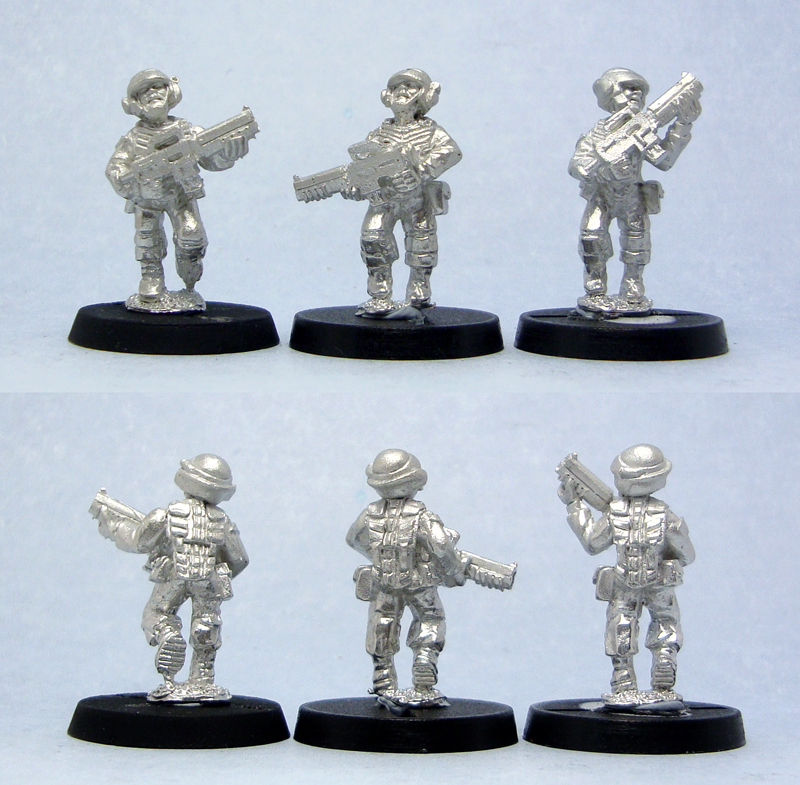 I went with Gripping Beast/Woodbine CMs when I bought my Aliens stuff (still unpainted…) and am very happy with them. I think that I would be happy figures from most of the suppliers shown for a CM project. 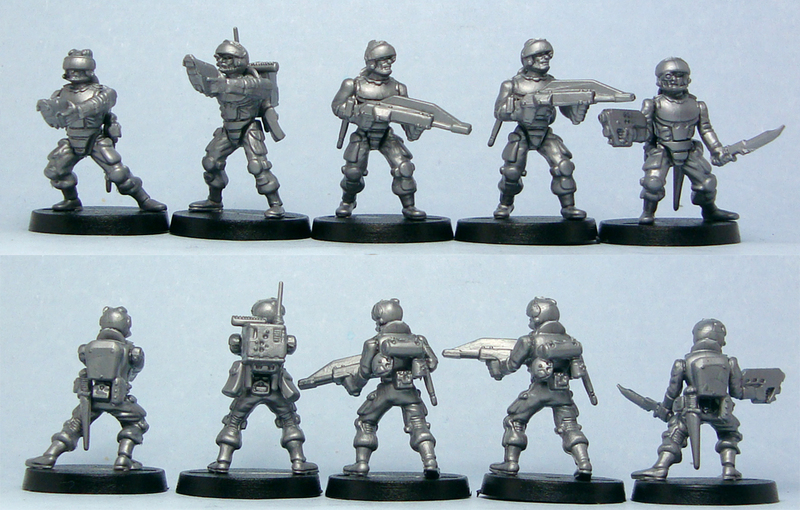 You didnt include any Powerloader proxies I notice. Saved for a future post maybe? I am looking forward to the Aliens gaming review post. You’re right, I saved Powerloaders for the Aliens gaming review. 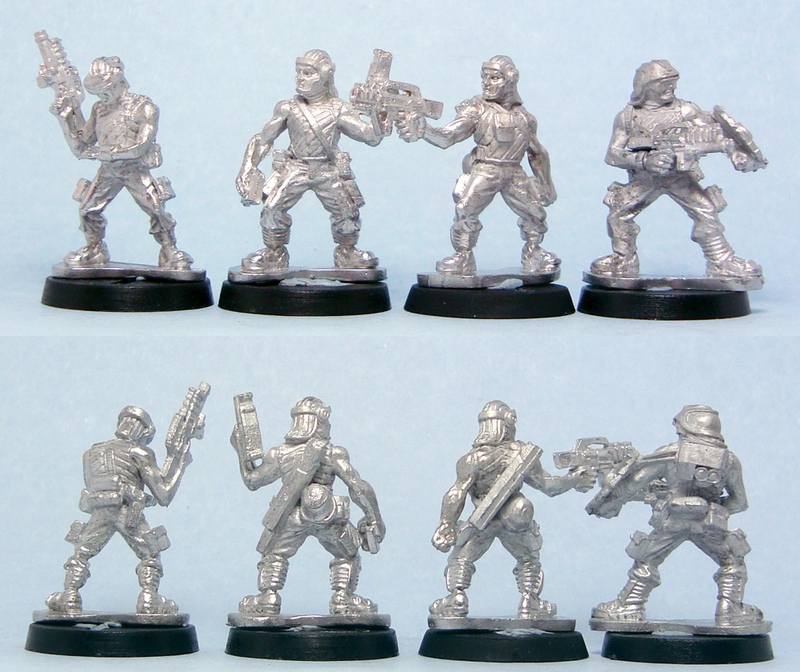 That’ll include those, as well as sentry guns, supporting characters (Ripley, Bishop etc), APCs and anything else I can think of. Ideas more than welcome. 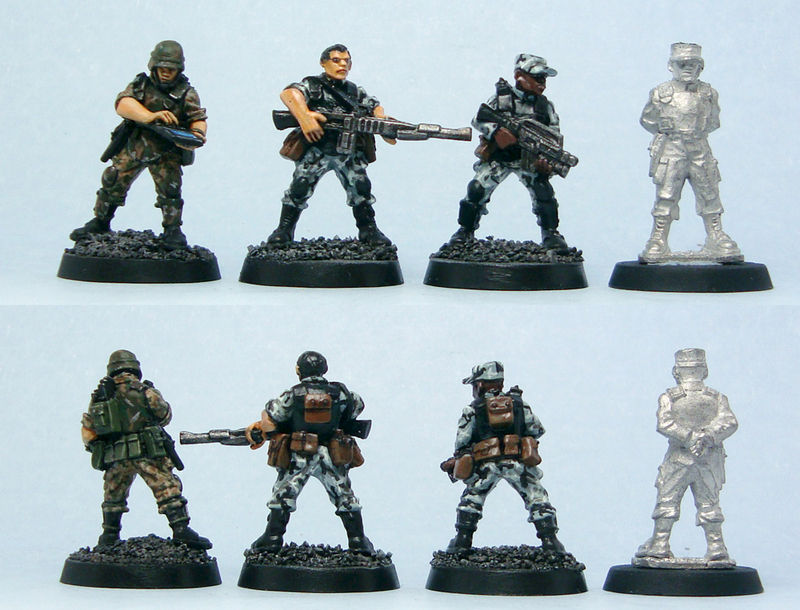 I realise that you had to draw the line somewhere but I’d have thought you’d have the New Anglian Marines from Ground Zero Games in there somewhere – definitely NOT the USCM, but very much inspired by them and closer to the source than the em4 plastics you review. Thanks for the comment. I’ll have to take a look at those. 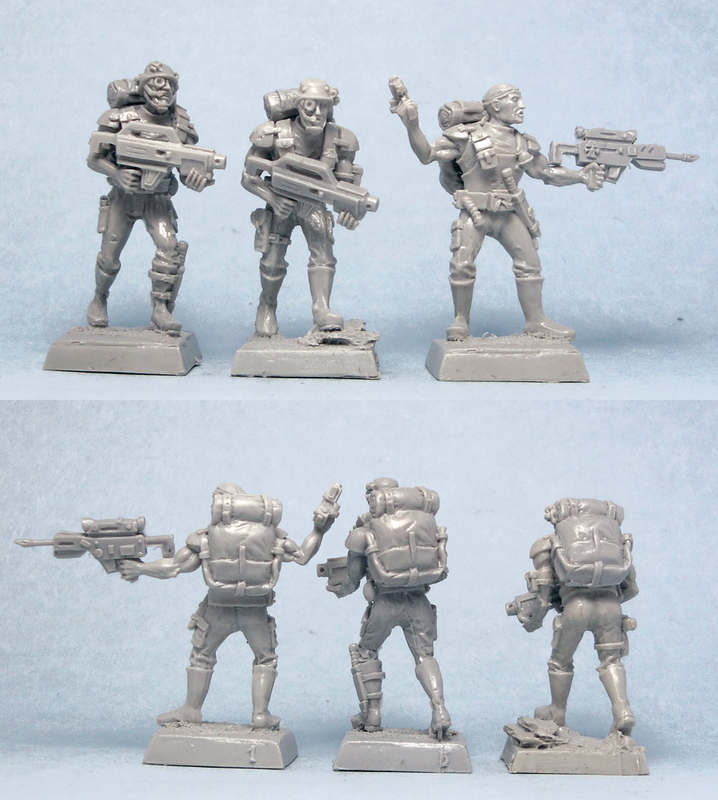 I’ve always thought that the GZG stuff is way too small for 28mm? 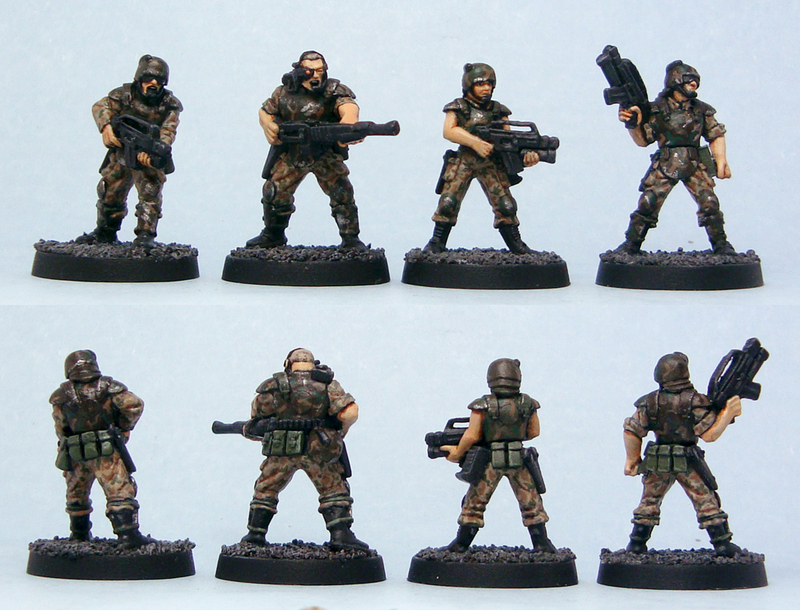 I’ve just painted a small batch of GZG marines and they’re between 25 and 28mm tall. 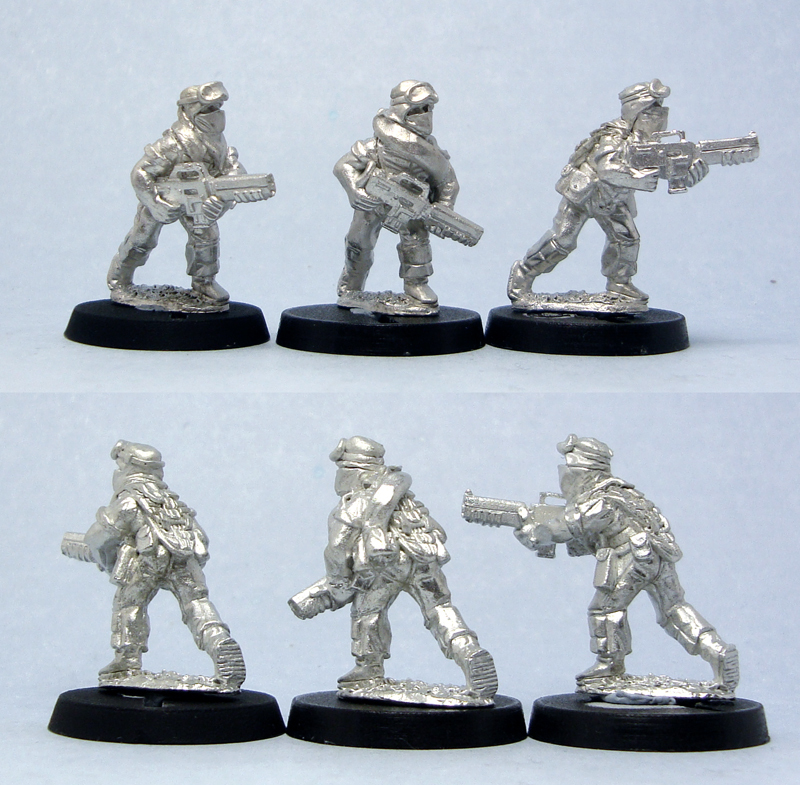 They might be more slender than ‘heroic’ 28mm types but no more so than the Denizen mid-techs. 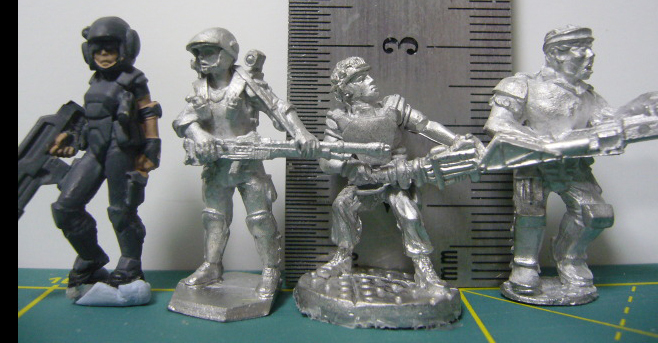 Also, another thought on your xenomorph round-up: Khurasan’s 15mm Space Demon Queen & King are just about man-sized compared to the GZG 25mm range. Thanks for the tips! I’ll definitely check these out. Brilliant post reflecting the enormous amount of effort put in to it. This will become an essential source for anyone interested in Alien/Predator games. Thanks for the kind words Phil! Yes, the powered armour DOES give a bit of an advantage, doesn’t it…then again Genestealers eat Terminators for breakfast. I look forward to trying some of the other lines. One thing that’s a problem is the M577 Armoured Personnel Carrier. 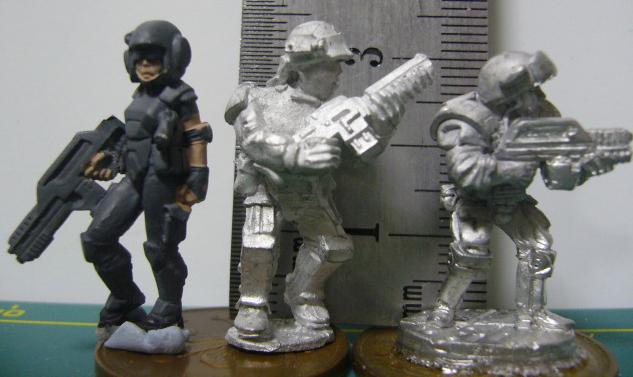 The Leading Edge model is all pewter, small for any figs larger than true 25mm, and needs a lot of filling and sanding. 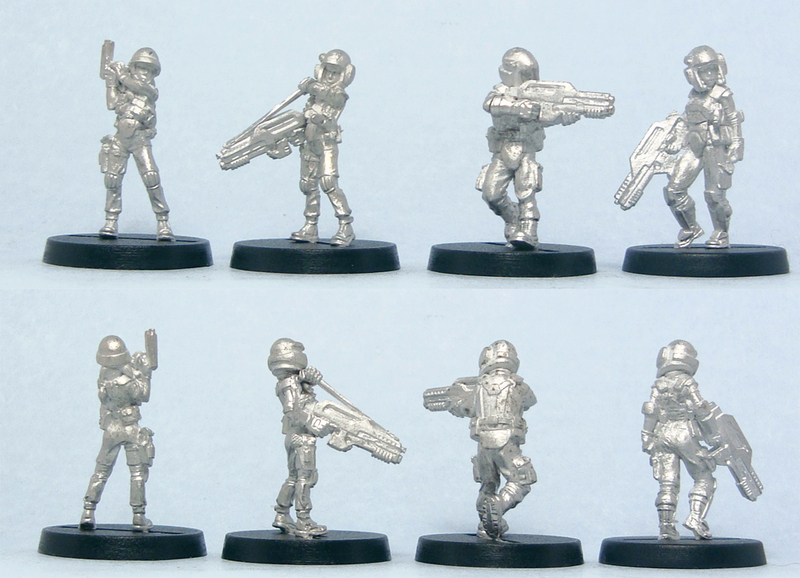 We now have a couple of the fantastic Action Fleet toys, but they’re hard to come by. Thanks Dave! Being an avid follower of your group’s blog (need to add it to the sidebar, I think!) I had already enjoyed that. I’m hoping to cover alternatives for the APC in a later review. Really liked your article, and bookmarked your page! I also enjoy your attitude for gaming! 😉 I feel the same way. Great looking addition with the DG figure, will have to check them out. Thanks, they’re well worth your time! 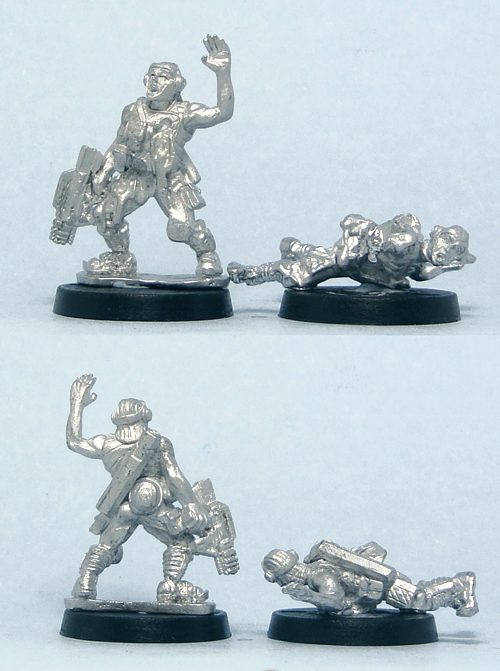 Do the gripping beast miniatures come with plastic bases? Nope, they only have the thin, integral metal bases. looking at putting together an alien egg hunt for our games club’s easter game next year and this has been invaluable. from one xeno-lover to another, thank you. Thanks for the comment Sev, more than happy to be of assistance! I strongly suggest posting them on either the Frothtown Marketplace at the FU-UK forum (http://www.frothersunite.com/phpBB2/index.php) or the Bazaar of Obscurities on the LAF forum (http://www.lead-adventure.de/index.php). I think you’ll get a deal there pretty easily! 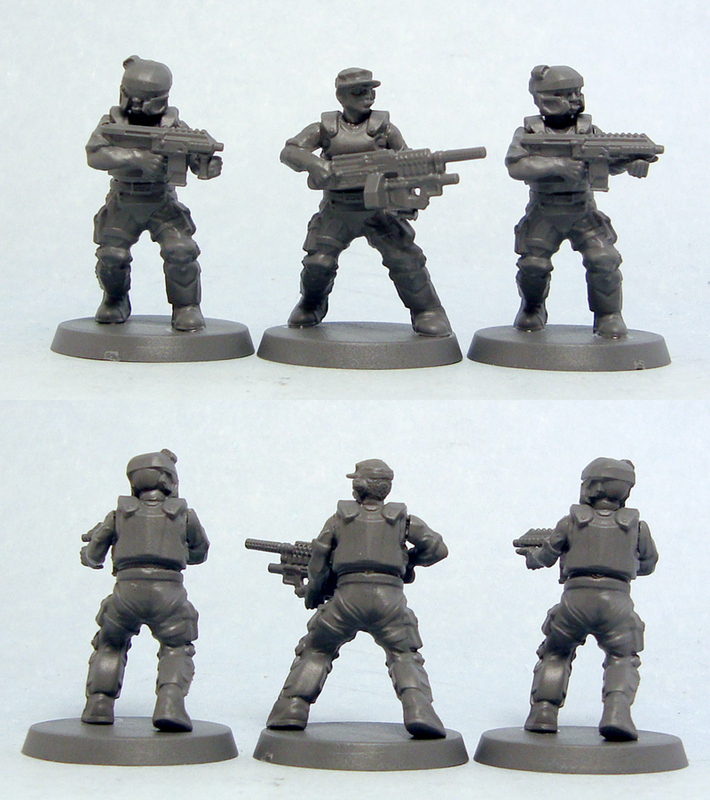 Do you feel the Woodbine Designs figures could have their weapons cut away and replaced with Hasslefree’s pulse rifles? Or are the metals too hard to do that to? I think it might be possible, but would probably be a lot of work. 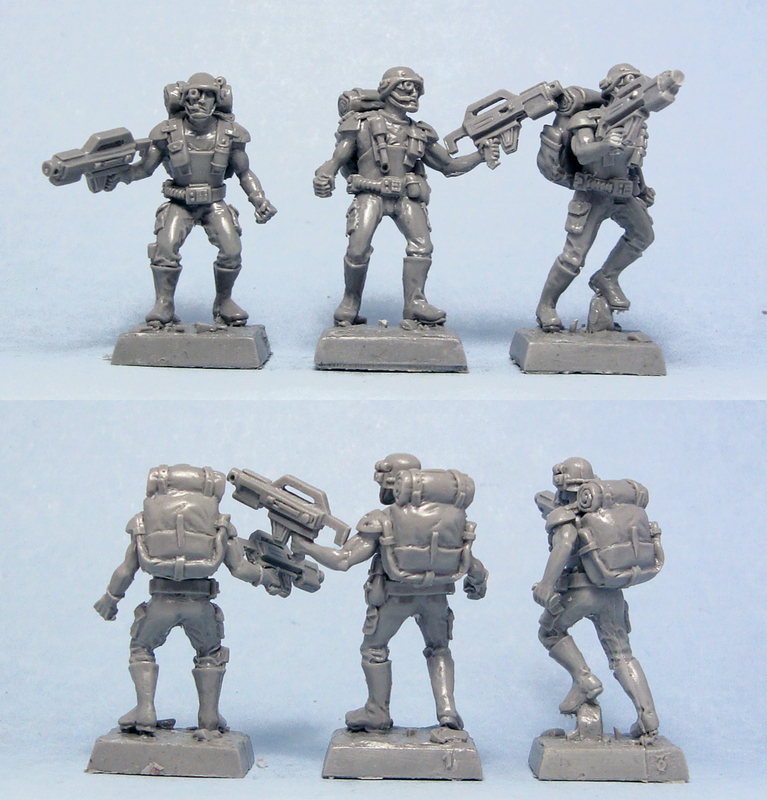 Also, the HF rifles would probably look a bit flimsy, as the Woodbine marines have very large hands and more comic proportions. 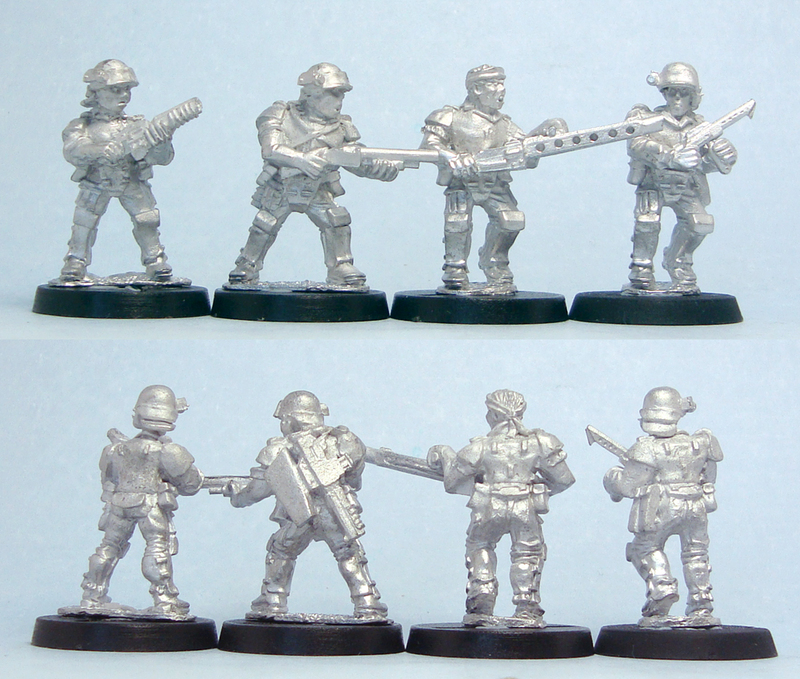 do you think the mad max head would fit on the defiance marines? Just bought those and really like the heads shown in your picture. If you mean the Mad Robot heads, I’m afraid they’re way too big for the Defiance stuff. yea i did mean mad robot. Dang they are so cool. 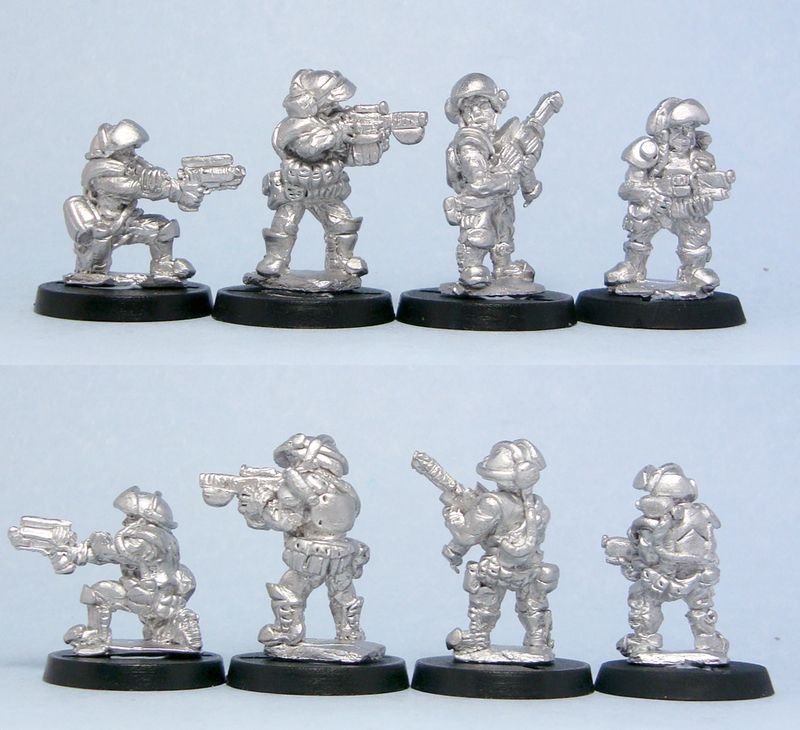 Im not familiar with gw marines so your comments about the size didnt mean much to me. You dont have to know of another producer that has something close? The head sizes are a bit problematic. I don’t currently know of any other manufacturers making Colonial Marine style heads, unfortunately.